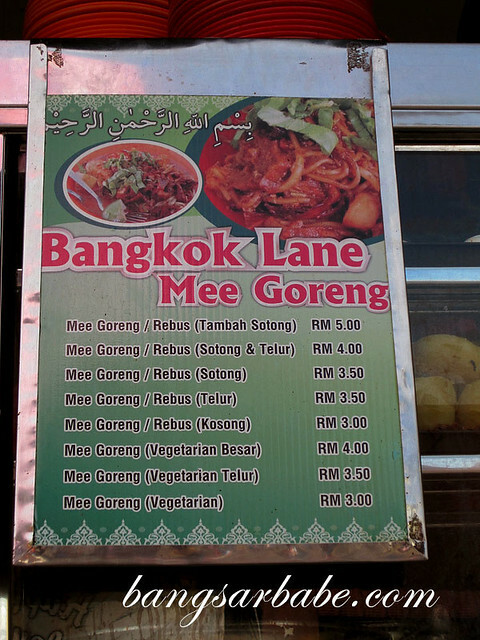 Penang-ites rave about Bangkok Lane Mee Goreng to me all the time. 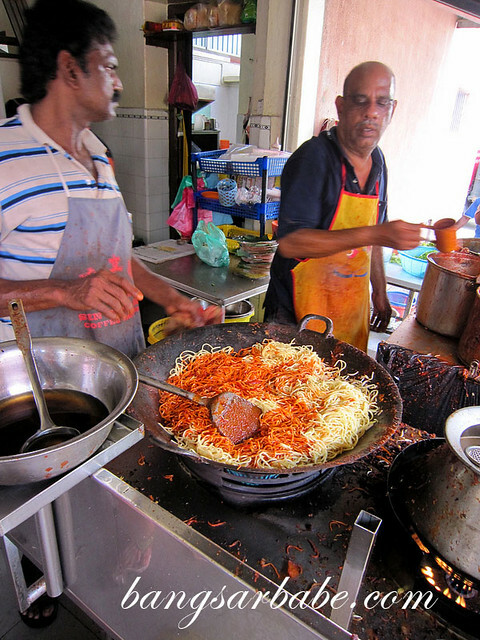 It is so popular that people flock this stall at Seng Lee Coffee Shop for their dose of this mee goreng. What’s so good about this plate of fried noodles? 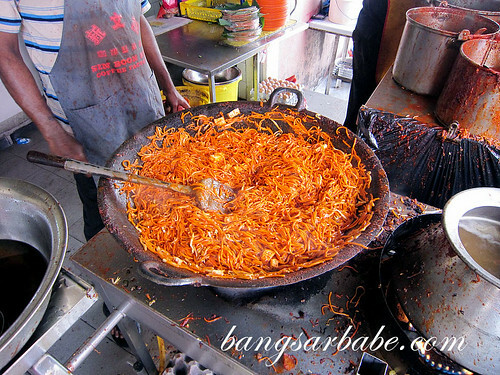 Is it really the best mee goreng one can find in Penang? 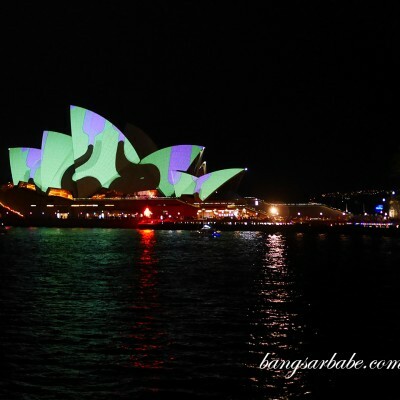 Colour my noodles … RED! 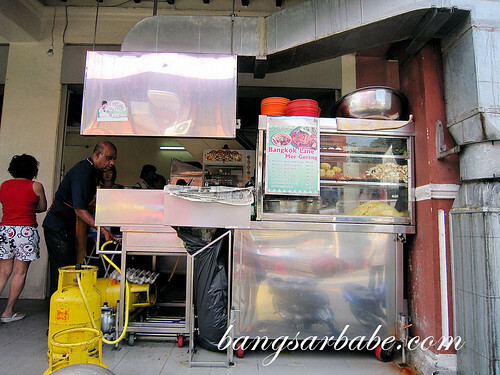 Bangkok Lane Mee Goreng is manned by a father and son team, and has been around for more than 80 years. Be prepared to wait for the queue is long especially during weekends and public holidays. I waited almost 40 minutes and watched the preparation process. The noodles are cooked in large batches, which I didn’t like because the taste is often compromised when you go for quantity. The son does the cooking and the father will finish it. 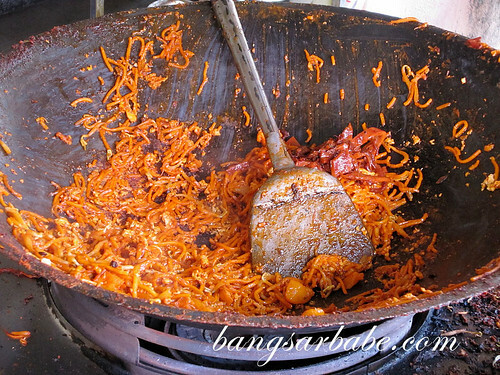 In between the process, red gravy is added to give the mee goreng its blood-red colour. Don’t rush the two men for you will get an earful from them, especially the father. To be honest, I found this a huge letdown. 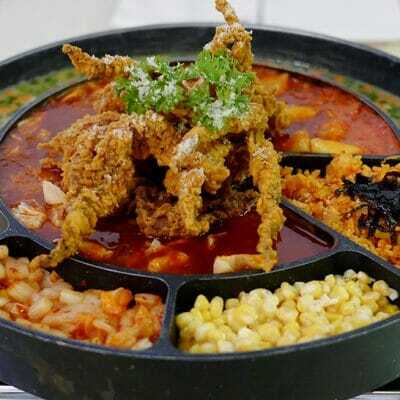 The noodles tasted very one dimensional and they cuttlefish lacked oomph. To sum it up, it was a soggy mess. 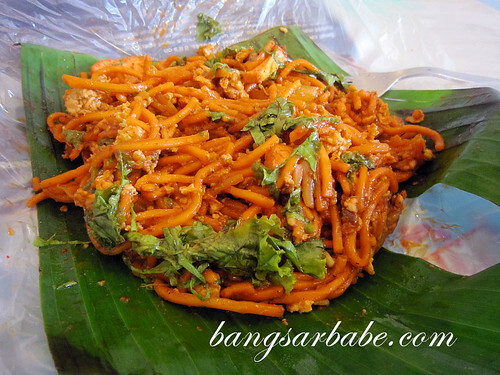 While many people swear by it, I wouldn’t eat this mee goreng again. I was told the mee rebus is pretty good, but after the disappointing mee goreng, I decided to cut my losses and leave space for other things. If you like mee goreng, I think the one at Padang Kota Lama is much better. Blog post on that soon! 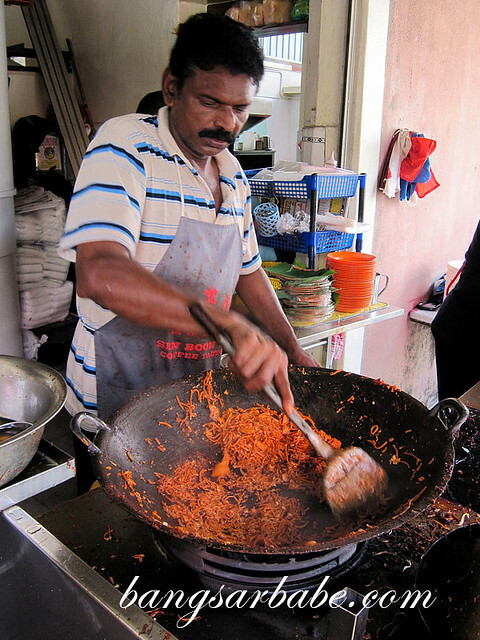 This mee goreng have gone down the pits since the days before Mahboob, which when he took over was still acceptable although there was a drop in the standard. Just had it on 27/11/13. Can easily get better mee goreng around Pulau Tikus. I’ve never tasted this stall. I like the one at Edgecumbe Road last time, now relocated at Gurney Drive.